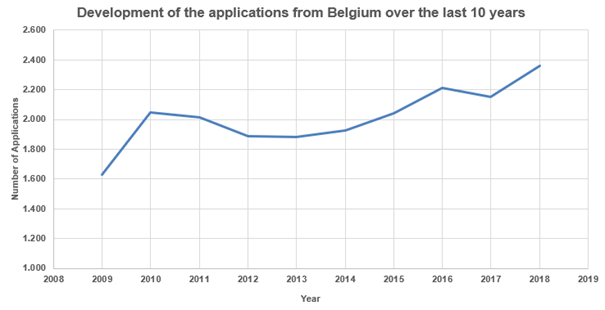 In 2018, the European Patent Office (EPO) registered 2,360 patent applications filed by Belgian companies and inventors, which represents an increase of 9.7% compared with 2017. This represents 204 patent filings per million inhabitants, which ranks Belgium in 8th place. 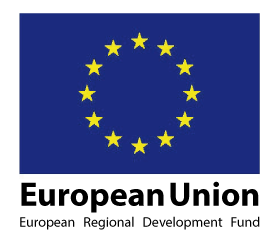 Among the top 10 of European country applicants to the EPO, Belgium recorded the strongest growth after Denmark. 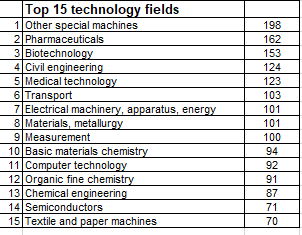 Belgian patent applications increased especially in the sectors of transport (+61%), materials chemistry (+49%) and chemical engineering (+43%). 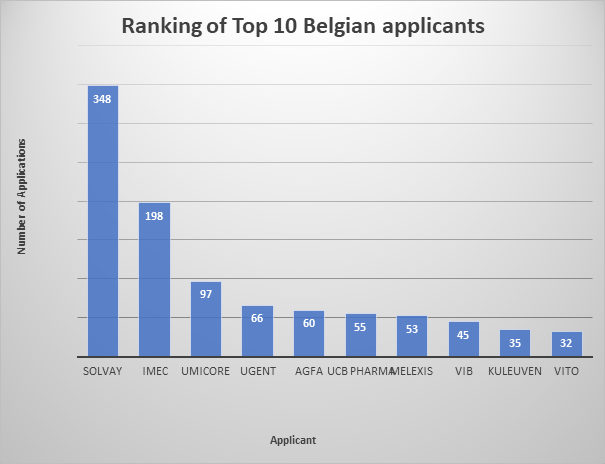 Solvay is the top Belgian applicant to the EPO (348). Followed by imec (198), Umicore (97), Ghent University (66) and Agfa (60). Flanders represents 62.9% of patent applications, Wallonia 21.2% and the Brussels-Capital region 15.8%.